What’s for dinner?” It’s the question every parent dreads. It’s a daunting challenge to put a meal on the table every eveningnever mind one that’s healthy, economical, and that the whole family will enjoy. 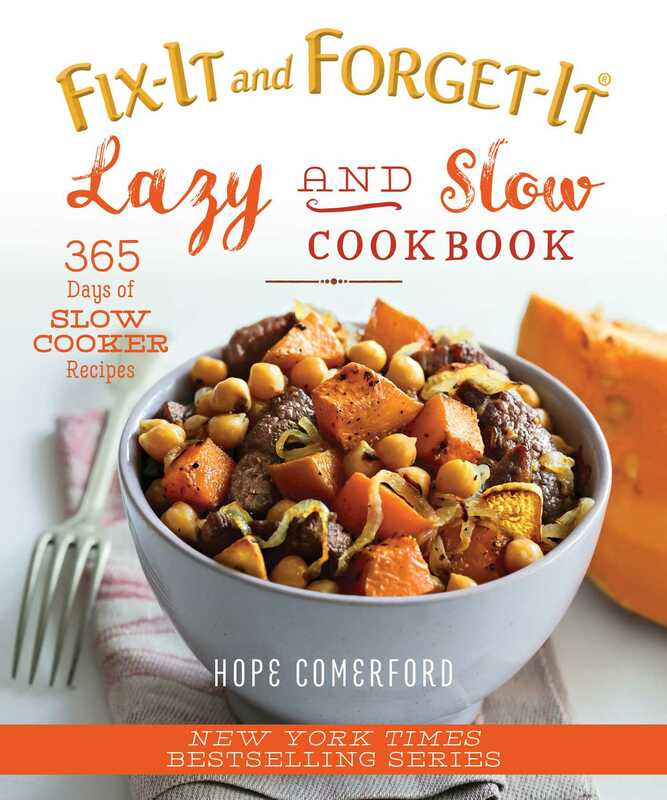 The Lazy and Slow Cookbook: 365 Days of Slow Cooker Recipes is the first in a new series of cookbooks for the lazyor busycook in the household. For every week of the year, there’s a menu featuring seven dinners, along with a shopping list. As a bonus, QR codes allow cooks to load the list directly to their smart phones. The first recipe for the week is a slow cooker meal that’s large enough to yield leftovers that can be incorporated into the recipes for the next 23 dinners. Enjoy a roast chicken (made in the slow cooker) on Sunday evening, individual chicken pot pies on Monday, and chicken and vegetable soup on Tuesday! Suggestions for side dishes are also included, as well as special menus for the holidays, birthdays, and other celebrations. You’ll also find slow cooker desserts, such as mango-coconut pudding and chocolate-almond bar cookies. Having dinner with the family has never been easier! There’s no reason to spend hours in the kitchen when you can let your slow cooker do most of the work for you. And there’s no reason to spend your weekend planning menus when author Abigail Gehring has done it for you!